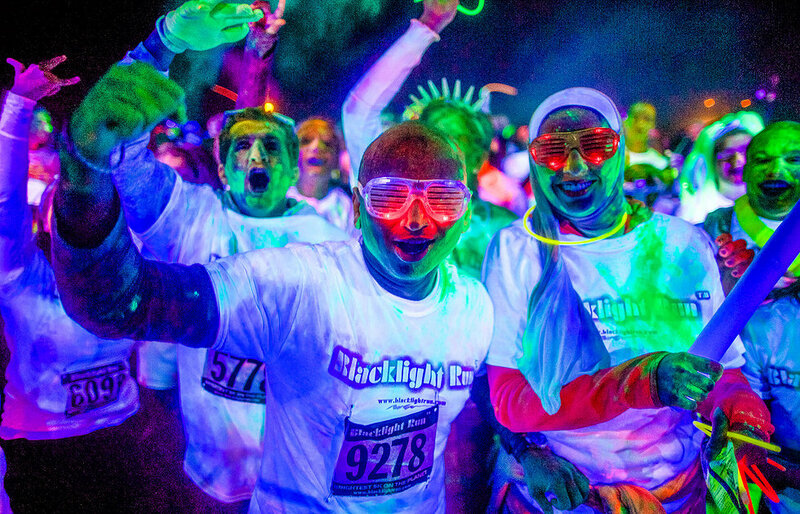 Ever been to a race where to Glow is the only fashion sense ? 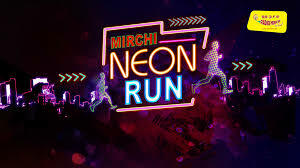 India’s First Ever Neon Theme based Run, MIRCHI NEON RUN Ahmedabad, where individuals Run or Walk at night covered in Neon accessories and Body Paint / Powder. 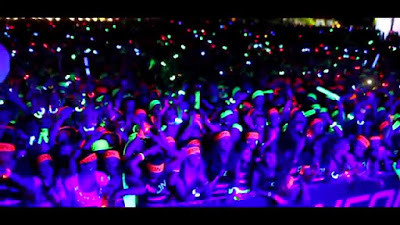 Prepare to be wonderstruck as you glide through different Glow Zones throughout the race that brings your Neon to Life. It’s not over! At the finish line is a Neon Party with an incredible light display and one of India’s best DJ’s along with Radio Mirchi Ahmedabad’s Top RJ’s. 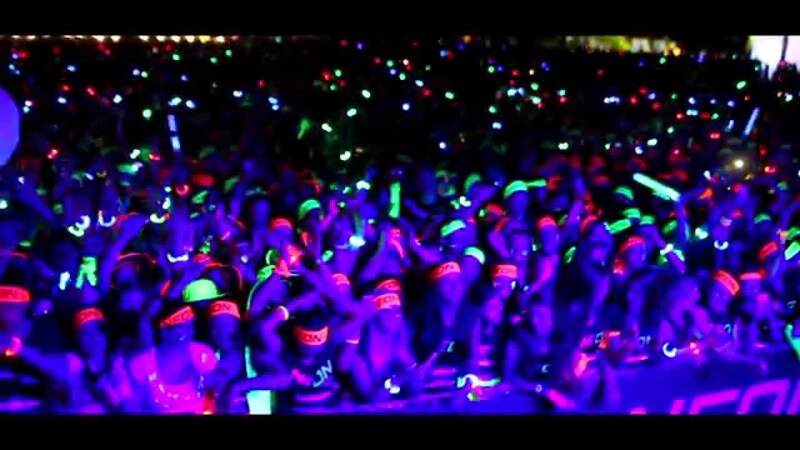 Now all that’s left is to….. Ready, Set, Glow !!! WHAT DO I GET WHEN I REGISTER??? Not the least, An Experience of a lifetime with family and friends.....RIGHT!!! 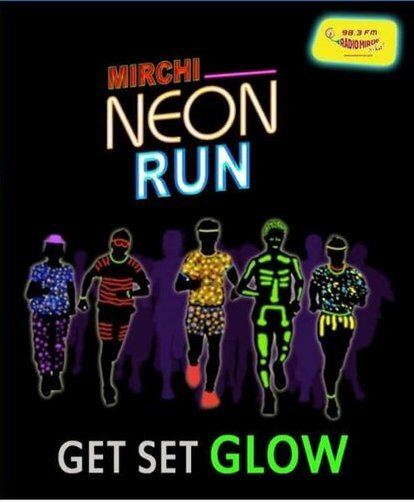 The MIRCHI NEON RUN is a wild and crazy glowing experience! This event is less about speed and more about enjoying a night of illuminating lights and neon glow body paint / powder under UV black lights with your friends and family. The event is all about people of all different speeds, ages, shapes and sizes toeing the start line together. i.e. Come as you are! Do not expect your typical road race. You will be running with colourful Neon Glow Merchandise and finish towards an unforgettable Neon Festival as Post Run Party. At the Neon Festival you will have NEON ZONE where you can Dance, Socialize, take Photos, Selfies and more importantly, HAVE FUN. A Neon Zone is an area where Neon Glow Powder / Water will be sprayed (it’s Non-Toxic and Safe to use), along with Music and lighting. 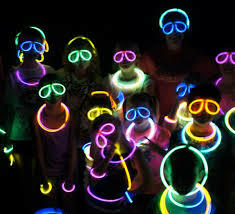 It truly is a NEON GLOW PARTY. The Neon Glow water / powder is a special formula that radiates light and will wash right off. All products are 100% natural and safe. These Zones will blow your mind. Anything that glows in the dark!! Get creative! Light up your imagination!! There are some amazing PRIZES for those of you who go the extra glow in the dark mile. In this event Childerens can also run. Ofcourse they also have right to glow. For this event you don't have to be professional runner. And, 3km is not that far. Plus you don’t lose any points for walking. Yes we do. Our NGO partner is CRY and we will be providing exclusive radio support for their campaign. You can wear neon Sunglasses just in case you like. How does the neon affect the interior of my car? It may affect the interior of your car. You can bring some towels for the insides of the cars, just in case. Yes, there will be use of black lights and LED lights! These lights are strategically designed to enhance your Neon experience! They will not cause a sun burn, but please do not stand in front of it for hours on end! Will the NEON GLOW powder/water ruin clothes or running shoes? It is a water-based solution that will wash out of clothes. We do not recommend wearing clothing that you wish to not be tampered with. Like with any clothing that gets paint, color, or dirt on it you should wash ASAP to lessen the effects. So come and have an AMAZING experience at MIRCHI NEON RUN AHMEDABAD........!!! !